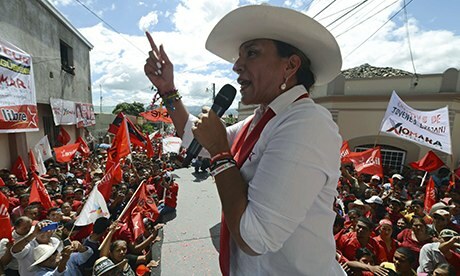 With just over half the ballots tallied by late on Sunday, Juan Orlando Hernandez of the governing National party had the edge over Xiomara Castro, whose husband Manuel Zelaya was ousted in a 2009 coup that has left the country politically unstable. Hernandez and Castro went into Sunday’s election neck-and-neck in opinion polls, and expectations of a close finish raised fears that a disputed result would produce more instability and protests. Voting went off peacefully amid a heavy turnout, however, and the uncertainty of the final result plus a cold, rainy night kept the streets quiet. Both of the two top candidates claimed victory, with Hernandez saying he would start on Monday with the job of leading Hondurans out of the misery they’ve endured. 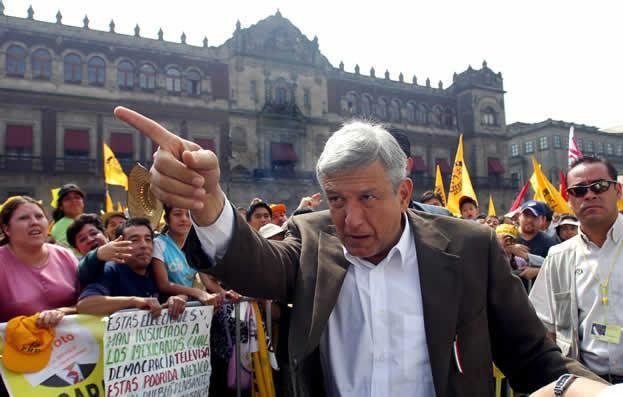 Poverty and violence have climbed in the past four years under President Porfirio Lobo, also of the National Party. Castro said her campaign’s numbers gave her a victory by 3 points, then left her election-night party at a hotel and was not heard from the rest of the night. Zelaya urged her supporters to stay at the polls and keep monitoring the count. This is eerily like our 2006 presidential election here in Mexico, in which a leftist opposition party was widely expected to win, but the official returns favoring the incumbent conservative party contradicted all pre-election polling data and on-sight anecdotal evidence. Of course, ancecotal evidence and opinion polls may not be right, but it did suggest fraud … and, as in Honduras, there was under-reported evidence of overspending, and biased media coverage (as well as interference by sitting officials) to favor the conservatives. The Mexican left held massive non-violent protests and suspicion of fraud still exists (the ballots were eventually destroyed without a full investigation) and the country suffered through a presidential term by a right-wing “law and order” administration which was the bloodiest since our Revolution. That Hernandez is far to the right, and far more “law-n-order-ish” than Calderón does not bode well for our unhappy neighbor to the south.